Back in March, we talked about Palaio Faliro (or Παλαιόν Φάληρον, translated to ‘ Old Phalerum’) – the ancient port city of Athens, which is also known for its extensive network of old graves that contain around 1,500 skeletons. And the researchers were seriously puzzled by the discovery of skeletons that were shackled and unceremoniously deposited in mass graves. 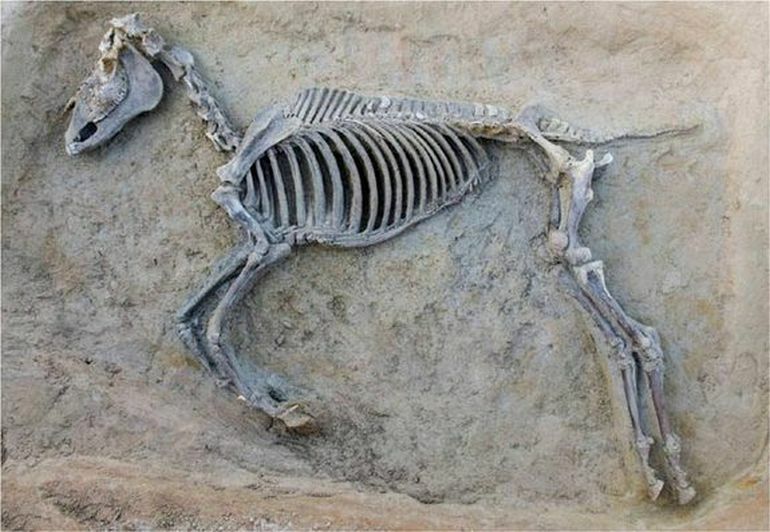 Well now a team led by Stella Chrysoulaki, an archaeologist at the Department of Antiquities of the Hellenic Ministry of Culture in Greece, may have some answers regarding the presence of these grisly evidences inside the cemetery compound. To that end, some of these shackled skeletons might have belonged to the supporters of Cylon, a tyrant who tried to overthrow the leader of ancient Greece as part of a coup in 632 BC. 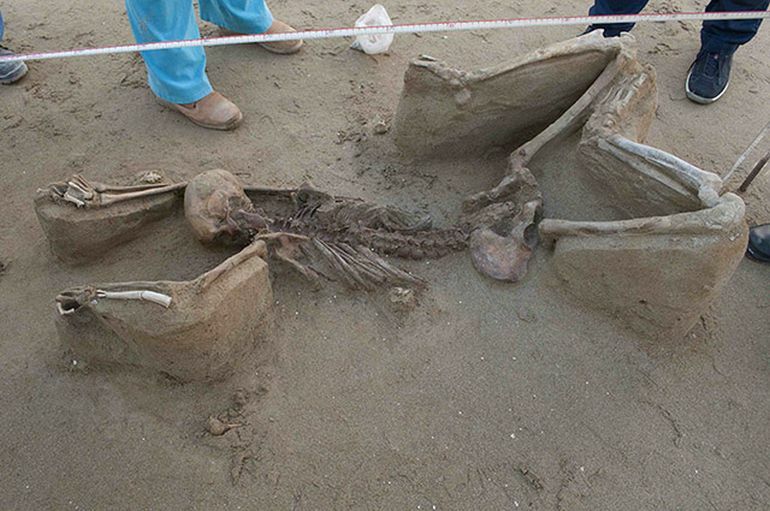 For the most part they are anomalous burials — the shackled people and people buried facedown, but also a lot of kids and a lot of non-elite individuals. This is just a massive number of burials, which is absolutely fantastic. In one of the graves, the archaeologists came across the remains of as many as 80 people, of which 36 had their hands tied with iron shackles. According to them, pottery fragments collected from the site indicate that the bodies were buried sometime between 650 BC and 625 BC. As the team points out, the shackled skeletons could belong to the followers of Cylon, a nobleman and former Olympic champion who led the coup of 632 BC. 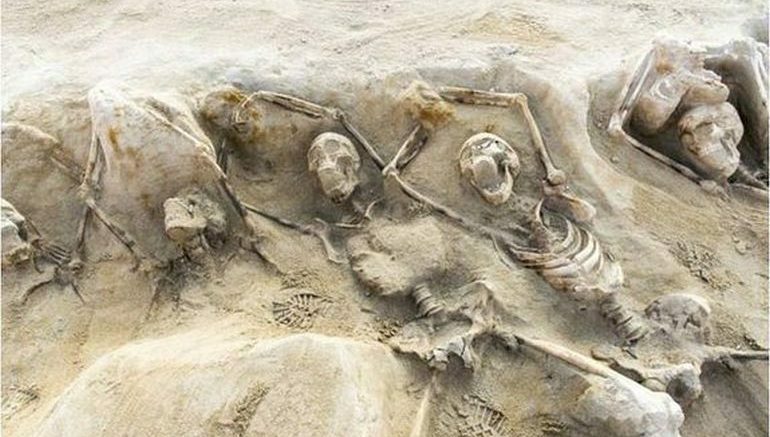 These might be the remains of people who were part of this coup in Athens in 632 [B.C. ], the Coup of Cylon… One of the problems is that historical records are really spotty for that century, so we really have no history and so it might be a stretch for them to connect these shackled skeletons with this coup. We don’t have information about people who aren’t in historical records. Learning more about the lower social classes in Athens tells us a lot about the rise of the city-state in Athens. In any case, the evidence of such a grisly practice does allude to the dark times when Athens had still not become the (self-proclaimed) bastion of civilized endeavors and politics. So from a historical perspective, this discovery might shed some light into the potential political (or societal) upheaval the city-state had to face before the emergence of a democratic scope. Part of the article was originally published in our sister site HEXAPOLIS.